The Brazilian Blur is a hard guy not to like. When the C's signed, I said it was a no brainer. I think he'll be even more valuable in the playoffs. Probably fulfill the standard "He'll win a game for us in the playoffs" line that Doc always uses. 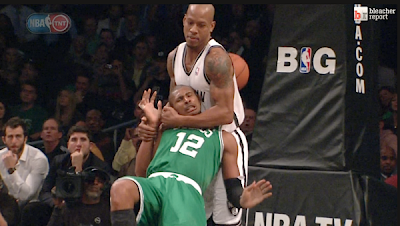 Related: Keith Bogans clothelines Leandro Barbosa, flagrant foul reversed?